DAVID LE/Staff photo. 3/5/15. 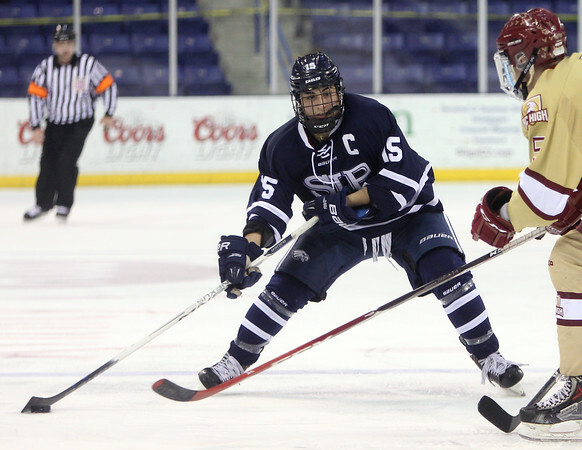 St. John's Prep senior captain Tyler Scearbo (15) sets up a toe drag around a BC High defender during the third period of play.